In "The Christmas Shoes," young Nathan Andrews was a child who lost his mother to cancer. Now his deepest wish is to become a doctor. When a stranger named Robert gave him the money to buy his mother a pair of shoes for her last Christmas, both Robert and Nathan learned the deepest lessons of love and giving. Now a medical student in his third year, Nathan realizes there are still things to be learned about faith, blessings, and sacrifice. Lessons he will learn from Meghan Sullivan -a young woman born with a hole in her heart that has not kept her from becoming a champion runner. And lessons learned from a young boy named Charlie, who teaches how to live a life of true courage. Together, they will help guide Nathan through the darkest period in his life. 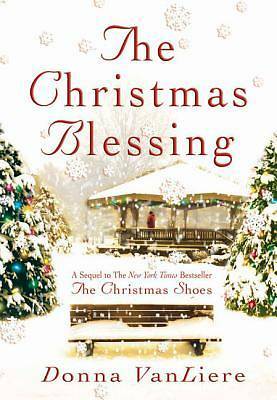 "The Christmas Blessing" is an inspiring book about hope existing in the darkest places, and love always being the greatest gift of all.